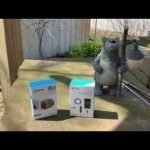 In order to test the heart rate sensor accuracy of the fitness trackers and smartwatches I review, I compare the results against a chest heart rate monitor (CHRM) and I’ve had a few different brands. 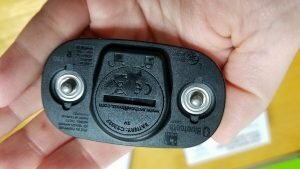 For years I used the Garmin Premium Heart Rate Monitor, which usually worked well but when it came time to change the battery I discovered it had a fatal design flaw. It’s almost impossible to change the battery because the screws on the back cover are almost impossible to remove. A screwdriver can round off the head till it’s impossible to turn the screws. The metal used in the screws is simply too soft. And it isn’t just me that has run into this problem if you read through the reviews on Amazon. So then I went to an off-brand CHRM and it did a good job but was limited in functionality. 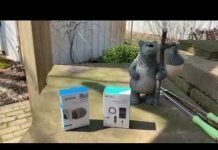 That left me with wondering if I should go back to Garmin and hope I could change the battery this time or upgrade to a Polar H10 (View on Amazon) which are pretty much the top of the line CHRM but I just didn’t want to spend that much right now. 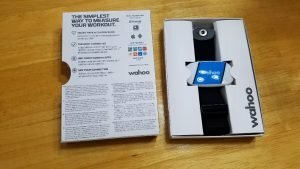 Plus, I wanted to try out the Wahoo TICKR since I thought it might be a popular and affordable option for a chest heart rate monitor that many of you might be considering. 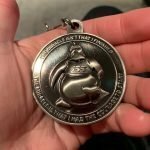 Why Use a Chest Heart Rate Monitor? CMRMs are a very good idea for resistance training. 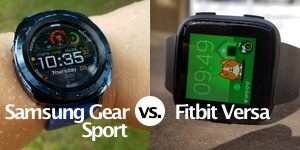 Wrist HR sensors found on fitness trackers and smartwatches are generally very good for cardio exercises (walking, running, etc) but have a tough time with any type of workout that involves flexing of wrist muscles, which of course makes a lot of sense. 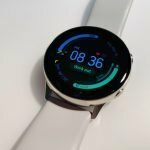 So, even if you have an awesome fitness tracker with a very good wrist-based heart rate sensor, for weight lifting, resistance training, or high-intensity interval training (HIIT), you really need to invest in a CHRM. Wahoo has three TICKR chest heart rate monitor models. 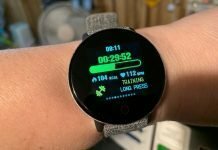 The Wahoo TICKR is the least expensive model and the one discussed in this review while the TICKRx (View on Amazon) supports more features such as rep counting, motion analytics suitable for HIIT workouts, and built-in memory. It also measures cadence, ground contact time, vertical oscillation. It also has a treadmill mode and supports indoor cycling cadence. TICKR Run (View on Amazon) is geared for runners of course, and measures cadence, ground contact time, and vertical oscillation. 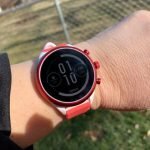 The TICKRx seems like the best value because of increased features but since I am mainly concerned with just observing my heart rate to compare to all the fitness trackers and watches I review, I went with the least expensive Wahoo TICKR. All three models connect by either ANT+ or Bluetooth to compatible smartphones, fitness trackers, GPS devices, bike computers, etc. They also connect with several third-party fitness apps and Wahoo has fitness apps of their own. If you use the TICKRx or TICKR Run more metrics of your workout will be available. The various Wahoo TICKR models are compatible with a large number of popular third-party fitness apps. 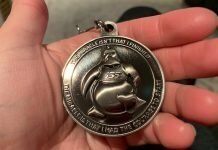 MapMyRun and all the other MapMyWhatever…apps, Runkeeper, Nike+ Run Club, Endomondo, MyFitnessPal, Strava, Runtastic, and many others will pair with Wahoo. 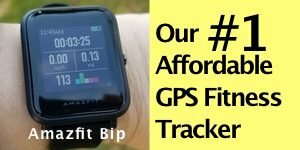 I use it primarily with MapMyFitness and MapMyHike and so far it seems that when I connect using ANT+ the connection is stronger and more reliable. I’m not sure if others are experiencing the same thing but that’s been my experience thus far. 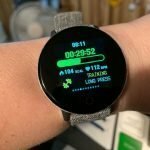 I’ve also connected the TICKR with my Garmin Fenix 5s and so far the connection has remained strong and reliable. Okay, chest heart rate monitors aren’t known for their cuddly, warm, teddy bear embrace around your rib cage. I definitely notice I’m wearing the TICKR. It isn’t uncomfortable but I’m more than happy to remove it at the end of a workout. The straps on the TICKR connect to both ends of the monitor with snaps. This is different than any other CHRM I’ve used. I worry about breaking the plastic case or damaging the ends of the device when I snap and unsnap the strap. I would like to see a tougher plastic casing for the monitor because I can hear almost a cracking noise when I snap/unsnap the monitor. This is a CHRM that I’ll have to be careful not to break. Something others have suggested doing, and I do as well, is replacing the strap it comes with one that doesn’t require snapping and unsnapping the monitor directly and instead has a separate side clasp. The Ansel Chest Belt Strap (Also on Amazon) is a good option. I think this would extend the life of the TICKR and greatly reduce the risk of damaging it. Other than that, I do like the LED indicator lights letting me know whether the device is connected and/or reading my heart rate. The blue LED indicates different connection status depending upon blinking frequency. A slow blink indicates that the device is on but not paired. It flashes four times quickly when it first connects with a device and displays a quick blinking when it is paired. The red LED flashes for each individual heart beat, although I’ve never seen it blink. A problem with the LEDs is that it’s hard to take a look at them when you’re wearing the strap, especially if you’re a woman not wanting to lift up your shirt in public! So far the TICKR has performed very well for me in my tests. I’ve used it on the treadmill and on several hikes and it has remained connected to various phone apps and my Fenix 5s. One thing I’ve noticed is that to achieve the highest heart rate accuracy, the strap has to be worn tight- really tighter than I like, hence the reason why I usually don’t use a CHRM except for resistance training and when I’m testing wrist-based optical HR sensors. Another important tip is that the two sensor pads on the strap need to remain moist in order to transmit reliably. This is true of all CHRM I’ve used. Once I’m sweating, this isn’t a problem but early in a workout it can be. Applying a few drops of water, or handy dandy and always available spit, usually does the trick. Overall, it’s been the most reliable CHRM I’ve used so far in terms of connectivity, especially using ANT+, and the HR data appears to be accurate. The readings are very stable and I don’t get the erratic peaks and valleys like I do with some wrist HR sensors. What remains to be determined is durability. I’ll update this post if I run into any problems over the next few weeks and months.